The first-ever NPC Athletes of The Month have been selected! Congratulations to George Peterson, Sheena Ohlig, Glenese Markes, Amber Masino, Kelsie Bergin, Michael Anderson and Amber Leon, who have been selected as the March NPC Athlete of The Month in their respective divisions. 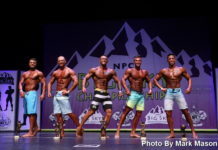 Each month, NPC Chairman Jim Manion will select an Athlete of the Month in each of the organization’s seven divisions – Men’s and Women’s Bodybuilding, Figure, Bikini, Fitness and Men’s and Women’s Physique – based on the information provided by contest promoters across the country and featured in the NPC News Online Contest Roundups every Monday. George Peterson wasn’t just flying under the radar coming into the 2012 Steve Stone New York Metropolitans – he was so far under, he might as well have been on the subway. His last contest was in 2008, when he place 7th in the middleweight division of the Mets. Four years later, he was ready to step on stage again in the light heavies, having added 30 pounds of muscle to his frame. At the Mets, Peterson was good enough to beat out Anthoneil Champaigne – a top-three competitor in the heavyweight division at the 2010 Nationals – for the overall title. He won’t rush things this time, either however. In all likelihood, he won’t step on stage at the national level until 2013. WHAT’S NEXT: Likely taking the rest of the year off before competing in a pro qualifier in 2013. It isn’t often that an athlete wins their class in their second-ever physique competition, then looks in the mirror and decides it’s time for a change. But that’s exactly what Sheena Ohlig did after winning her class in figure at the 2011 East Coast Classic last year. After the East Classic, Ohlig decided to make the move – to the newly-formed Women’s Physique division. The move paid off, as she won the Overall at the Steve Stone New York Mets on March 31. 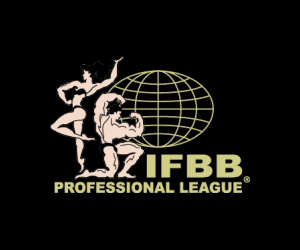 ONE YEAR GOAL: To achieve my IFBB pro card. Four years is a long time to away from the stage – enough time that, just simply getting back into contest shape is an accomplishment all on it’s own. But Glenese Markes wasn’t going to stop there. Markes, who last competed in figure in 2008, originally was looking to make her return in the Women’s Physique division. After seeing some of the early IFBB contests, however, she decided she needed to take it one step further and make her comeback in Women’s Bodybuilding – but didn’t make the decision until the morning of the Steve Stone New York Mets. It didn’t make a difference, as Markes stood out from the rest to run away with the overall title in Women’s Bodybuilding. Training hard was engrained in Angelina Masino at a young age. It wasn’t until she met a bodybuilder two years ago, however, that she decided to take her training to the next level. Masino decided to compete in figure in 2011, and she didn’t waste any time. She did four contests in four weeks last season, winning her class in two and placing second in another. This year, she picked up where she left off by winning her class and the Overall at the Vancouver USA Naturals on March 31. OCCUPATION: Works at the Post Office and goes to school for Nutrition and Exercise Physiology. Kelsie Bergin of Kaufman, Texas wasn’t really thinking about entering the Ronnie Coleman Classic – that is, until her trainer told her she was, one week prior to the contest. She sure was. Competing for the first time, Bergin won her class and the overall Bikini title at an event with over 400 competitors, including 117 in the Bikini division. 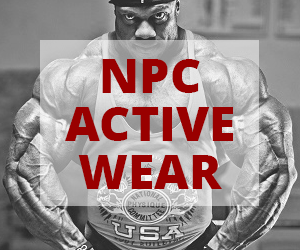 WHAT’S NEXT: NPC USAs, July 31. But Anderson kept at it. After some feedback from the judges gave him a better idea of what to do, Anderson placed in the top three of his class the following week. It was all downhill from there, as Anderson has now won the overall at his last three contests, most recently the Natural Ohio Championships on March 24. 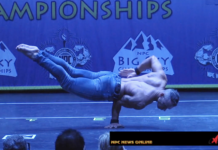 WHAT’S NEXT: Get on stage as much as possible before going for my pro card at the Masters Nationals in July. Amber Leon did a little bit of everything growing up. With that background, it only makes sense that she would do a little bit of a few things when she started competing in the NPC – which she did, competing in both figure and fitness last year in her first two contest. This year, Leon decided to focus on fitness – where she repeated as the Vancouver USA Natural Overall winner two weekends ago. PHYSIQUE INFLUENCES/ROLE MODELS: Definitely Tanji Johnson. She is so influential and motivating and helpful. I really like Nicole Wilkins, I think she is an amazing athlete and gorgeous to boot. And IFBB Pro Sherri Vucik, on our Save Fitness Team – she has helped me a lot as far as confidence and with my routine. Previous articleNPC Figure, Bikini & Fitness Workshop! Next articleNPC Contest Previews: 11 Events this Weekend!